Rangayana is a theater repertoire of Karnataka. It has been using make shift spaces since inception; one outdoor among woods by the side of lake and another on the basement of a huge stage of a humongous Kalamandira auditorium that is considered good only for political speeches. 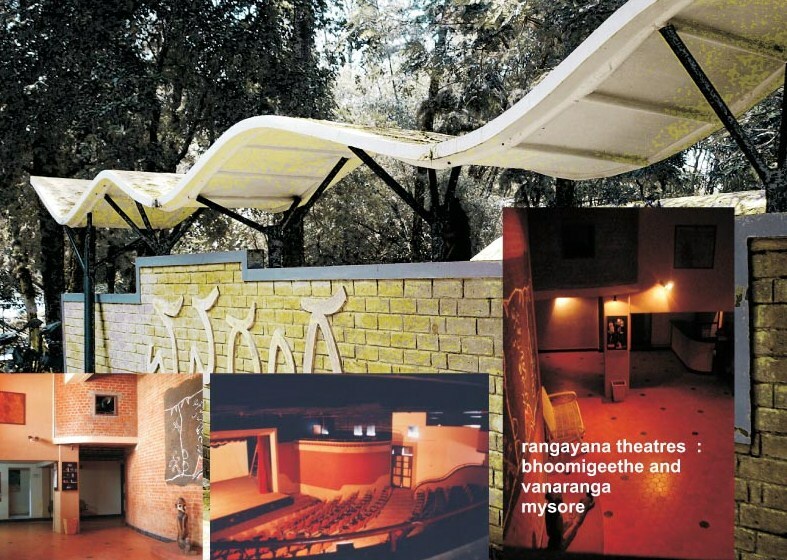 In 2001, a national theater festival hosted by Rangayana needed building up an intimate theater space within a short time of 5o days and and on a shoe string budget. 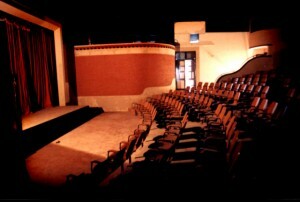 This resulted in recreating an indoor theater, Bhoomigeetha, in the existing basement space. Carved out of it was a theater for 240 seats with all necessary paraphernalia required for a standard intimate theater. Also we recreated the Vanaranga among the wooded space adding up lighting, proper seating, backdrops, side stages and green rooms etc and also added a symbolic entry and a ticket booth. The theater enthusiasts received the spaces well and became noted spaces of theater and discussed at national levels. The process of creation of these spaces also saw us innovating with recycling and reuse of available waste materials and discarded stage sets. The embedded energy of recreation remained low as a result. 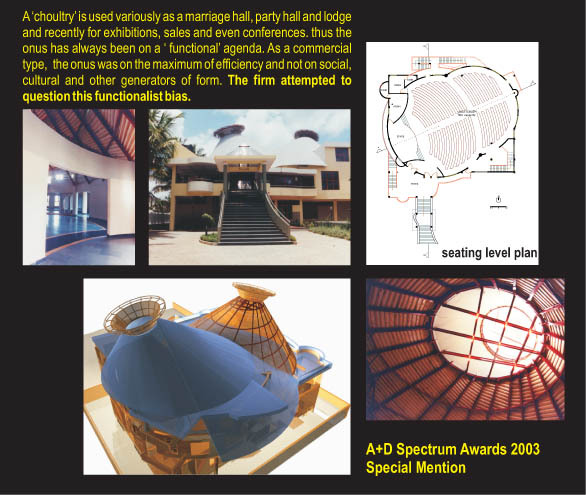 The plan configured into two intersecting circles along the east west diagonal of the site allowing the largest possible space for auditorium. The space developed as two slightly elliptical cones placed at 30 degrees and 60-degree of axes tilts and intersecting in the middle. This generated a sectional profile conducive to good acoustics. The cones define the space into two sections, one highlighting the front part and stage and the other, the rear and mezzanine. Semantically, it may signify the union of two (boy and girl or two families) or interaction of two segments (panelist and audience). The cones with skylights and vents on top of each also could function as chimneys allowing hot air to rise and thus generate a vertical draft of air. The skylights also will enliven and enhance the lighting and the general ambience. They could also provide interesting ceiling pattern making one to look up towards sky while entering and add to a solemn spatial experience.